To develop timing between the quarterback and receiver, teaching the quarterback how to lead the receiver. 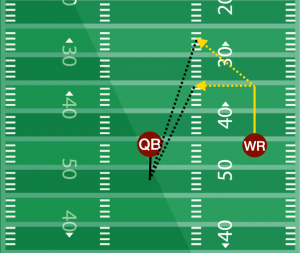 The quarterback will stand at the line of scrimmage with a ball in hand, with wide receiver split out to one side. The quarterback will take the snap, and take a three step drop. The wide receiver will run a post route. The quarterback will throw the pass, making sure to get the ball up over the receivers helmet, leading the receiver by two to three steps. The receiver will catch the ball, and come back to the line, starting the drill right back up, going for about 10-15 more repetitions. 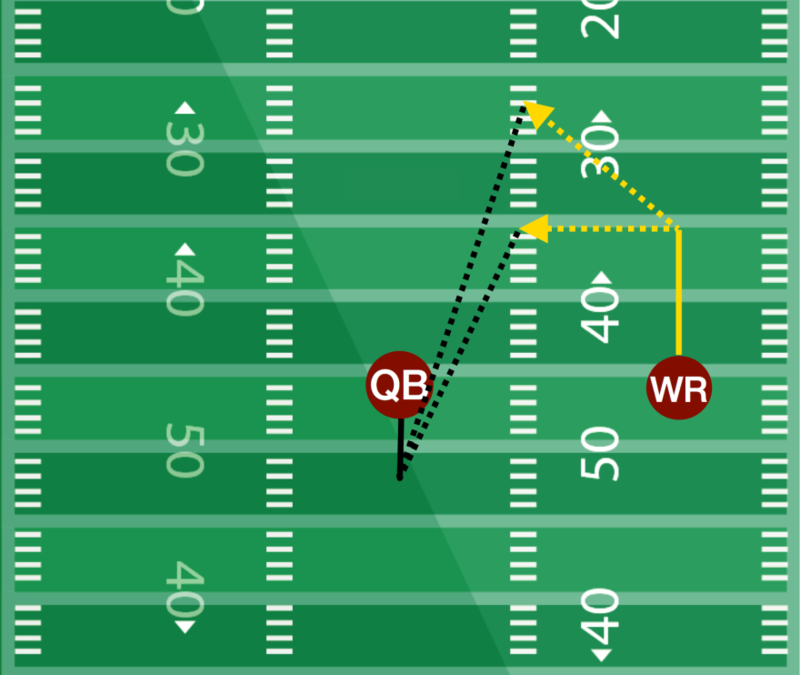 Make sure to alternate both the side the receiver is running his routes from, as well as the types of routes the receiver runs.